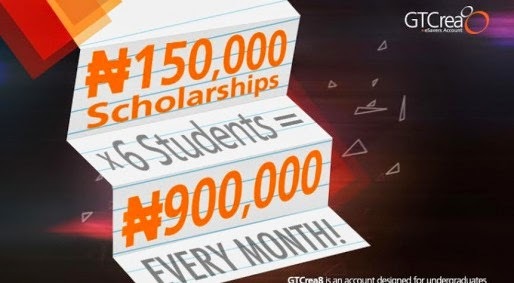 Would You Like To Win A 150,000 Naira Scholarship This Month? No kidding. 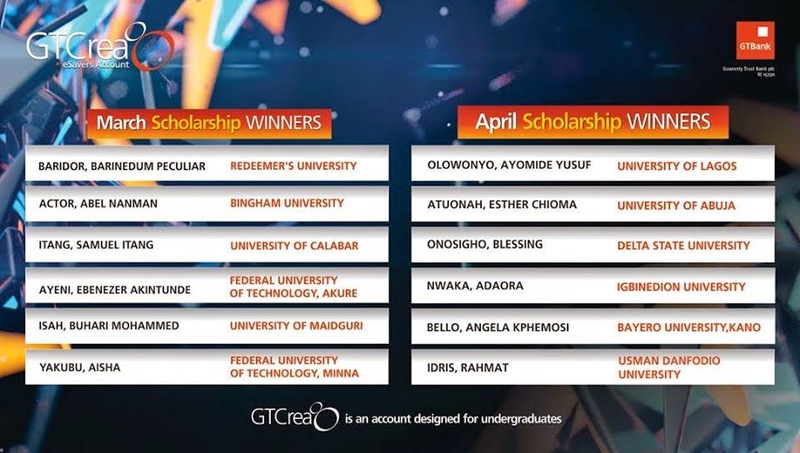 If you’re currently a student of any tertiary institution in Nigeria and you run a GTCrea8 eSavers account, you could win a ₦150,000 scholarship in April. How do you win? It’s pretty straightforward, just read the terms below carefully. 1. You must have a GTCrea8 eSavers account. If you don’t, open one right now here. 2.Maintain an average balance of ₦5,000 in your GTCrea8 e-Savers account each month. Or download the GTBank Mobile Banking app for iOS, Android or Windows Phone. Or use Internet Banking, Mobile Banking or a POS for at least three transactions every month.